the Digital Era is enhancing and advancing, it is getting close to people in their day-to-day lives. Our generation has to face constant competition due to the various innovations rolling out in the IT industry. Every single thing is becoming technology-based and hence there are new developments for the needs that exist and the upcoming needs. The evolution is evident and is catering to the various needs of the human beings. One such innovation which changed the world is cloud computing. Reduced Costs – As there will be no physical servers to maintain and handle, of course, this reduces the costs of software, hardware, and infrastructure. These things are taken by the cloud service provider. The saved costs can further be invested to grow other segments of the organization. Disaster Recovery Options – A recent study has found out that you can recover the lost data in 24 hours and 72% people have experienced it. There were 62% of non-cloud users who had lost all their data and if they got a recovery, it wasn’t complete. Further, cloud computing also provides security and there are several innovations in this field. Your data is backed up regularly, protected, and kept safe. Also, it reduces downtime and makes sure your business runs smoothly. Efficient Collaboration – You can share your files or data with the people across the world. Through cloud computing, your contractors, employees, and everyone else of your organization can have access to the information you share. It has become more flexible and quicker than the typical conventional method. Scalability Feature – Any business cannot have a similar requirement for resources throughout the month and year. It differs as per the workload of the organization. Cloud computing allows the organization in scaling the resources to meet their requirements at that time, which is not possible on the traditional server. Besides this point, the hardware installation cost is expensive but when you use cloud computing; your service provider takes care of all these things. Flexibility Feature – With the help of cloud computing, you have the ease of access for your data through smartphones, laptops, or tablets. Also, if your business needs more bandwidth, then the service provider can meet these requirements quickly and this helps in avoiding delays. Eco-friendly Feature – Protecting the environment is everyone’s responsibility and running IT businesses creates a major amount of carbon footprints. We should try to reduce these carbon emissions. If you use cloud computing services, you can contribute to the reduction of carbon footprints. Now, this can be a win-win situation for you and the environment. The carbon footprints have reduced by 30% since the use of cloud computing. Since 2011, there is no turning back for the cloud computing industry. As per the study of Cisco, over 83% of all the data would be managed by clouds in the coming three years. Gartner’s study shows that over 30% of the top 100 largest vendors will be doing new investments on the ‘cloud-only’ approach. Earlier it was ‘cloud-first’ approach. Gartner also predicts that the growth in the cloud in the service area of infrastructure and computer will become mainstream. This adoption of the services is going to increase by rapid rates. By 2020, the IT industry will be spending more than 60% of the budget on cloud-based infrastructure. You can understand the reasons for the crazily high number of investments. Moreover, there can be an investment of 162 billion dollars in the financial year of 2020. Cloud computing with fully managed security services in the future. There are going to be several technological and technical improvements as the need arises. 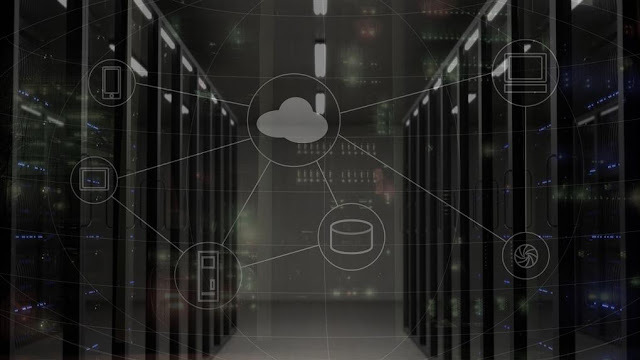 After all, the world connectivity is going to enhance and the increasing number of data centers will be catering to these demands. Thank you for sharing such a nice Article. Very Informative. very nice article. Keep it up man.